All parents are required – both legally and morally – to care for their children, and after a divorce in California, the two parents continue to be equally obligated. Nevertheless, delinquency on child support payments is far too common in California and across the United States. 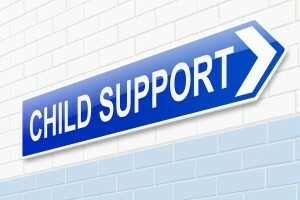 In 2011, for example, $14.3 billion in child support remained unpaid in the United States. In 2012, the Census Bureau determined that only 41.2 percent of custodial parents in the United States receive the full amount of child support owed to them by their ex-spouses. When a non-custodial parent fails to make the child support payments that have been ordered by the court, the law in California provides custodial parents with several ways to enforce child support orders and get the parent to pay child support. If you need to have a child support order enforced, arrange to speak at once with an experienced Orange County child support enforcement lawyer at the Bayati Law Group. Our attorneys represent parents who are seeking the enforcement of child support orders in Orange County and throughout southern California. In many cases, if your ex was ordered by a court to make child support payments and you are not receiving those payments, a child support lawyer at the Bayati law Group can help you with requesting enforcement actions. However, in general, drastic legal measures are not always necessary. A good family law attorney may also be able to help you by acting on your behalf as a mediator or a negotiator, and in many cases, an agreement acceptable to both sides can often be achieved without acrimony or legal force. The Bayati Law Group will use every available legal tool to obtain child support payments – and to win justice – for our clients and their children. The courts in California use a mathematical formula to decide what the monthly amount of a child support payment should be. At the time of the divorce, a California court calculates the payment based on a number of factors, which include incomes of both parents, the number of children, and the amount of time children spend with the parents, as well as taxes and other pertinent financial information. When a California court issues a child support “order,” it’s a legal obligation, and it can be enforced by the court. Especially if your ex is already in violation of a court order regarding child support, do not try to make arrangements with your ex on your own regarding delinquent child support payments. After a divorce is final and a child support order is in place, such unofficial, private agreements have no legal weight at all, seldom work, and cannot be enforced. You’ll need to take formal action with the help of an experienced Orange County child support enforcement lawyer. To encourage parents to make child support payments in a timely manner, California child support services adds interest and surcharges to delinquent child support accounts. If a payment is thirty or more days overdue, you may receive a notice that you have 150 days to pay the past due support before your driver’s license will be suspended. California sets interest on missed support payments at a rate of ten percent per year. In southern California, if you are a custodial parent and you are not receiving child support payments that have been ordered by the court, the Bayati Law Group in many cases can take legal enforcement action on your behalf including but not limited to wage garnishments, bank account levies, intercepting federal or state tax refunds or lottery winnings, and having the delinquent parent charged with contempt of court. Contact the Bayati Law Group and get the help you need for your children if you are not receiving the child support payments that you and your child or children need. Nothing is more important than their well-being and their needs. If you are a non-custodial parent who has been paying child support and your own circumstances have changed – for example, you can’t work because you’ve become injured or unemployed – you cannot just stop making child support payments. If you do, you could quickly find yourself in contempt of court and possibly even in a jail cell. In California, you must seek a modification of your child support order if a change has occurred in your life and you can no longer make child support payments in the same amount. A request must be submitted to the court showing your income has changed or you are facing another issue that affects how much you are able to pay. An experienced Orange County family law attorney at the Bayati Law Group can help. If you need immediate legal representation to receive the child support payments that a court has ordered, or if you are making child support payments and you need to have a modification of the court order, speak at once with an experienced Orange County child support enforcement lawyer at the Bayati Law Group to discuss the process. We help our clients to enforce or to modify child support orders, and we provide the legal advice, insights, and dedicated representation that divorced parents so often need. Whether you need immediate legal representation regarding a child support matter, or if you simply need sound legal advice and guidance to help you plan for your future, an experienced Orange County family law attorney at the Bayati Law Group is available to offer an assessment of your situation, to discuss the full range of your legal options, and to help you make the right decisions for yourself and your children. Every Bayati Law Group client and prospective client is treated with complete respect and is extended every possible professional courtesy. It is our policy to return every client phone call and email promptly to ensure you receive the services you need. Please schedule a consultation appointment today to speak with an experienced family law attorney at the Bayati Law Group by calling (949) 798-5700. Or, you can complete the form on the contact page of this site, where you will also find a map with driving directions to our office. The Bayati Law Group serves clients in property division, spousal support, child support, child custody, visitation, and all other family law matters in Orange County and throughout southern California.